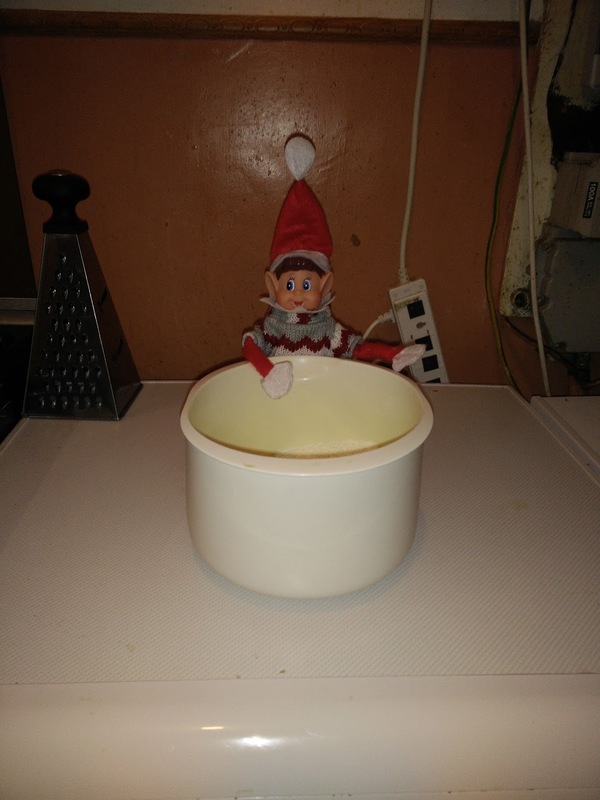 So it's the 6th of December and we have had Rhul and Elfis here for five days. 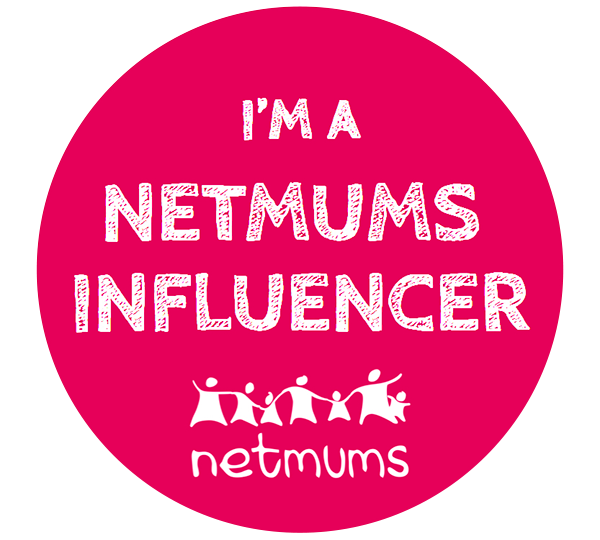 I thought I would do a little update as to what they have been getting up to! 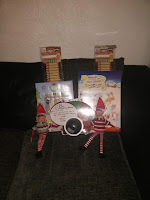 On Day One we got up to find them sat on the sofa complete with advent Calendars, scratch off behavior charts and a message board. The boys were thrilled to see them especially James! 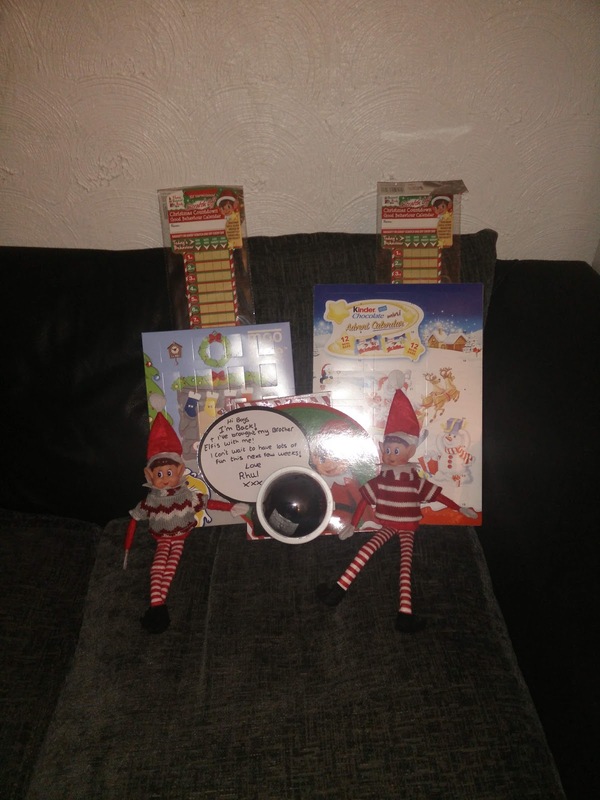 They also brought an elf surveillance camera and a note pad of elf reports which they will be using to report on the boys behaviour! 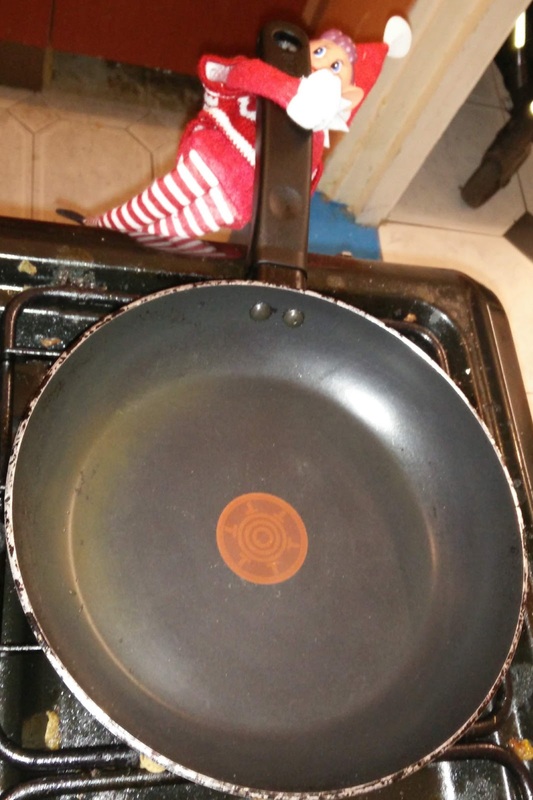 On Day Two we found them trying to make breakfast! 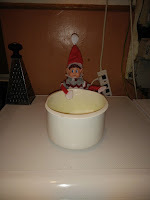 Rhul was hanging off our frying pan and Elfis was leaning over a bowl of flour and sugar. They left a message on their board saying all we needed to do was add an egg and some milk and the boys could have pancakes! 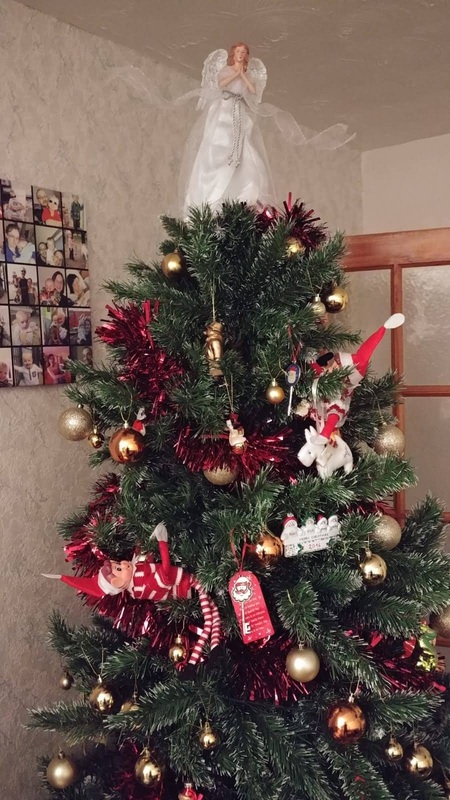 On day Three we found the naughty little elves had climbed into our Christmas Tree and were just hanging around! 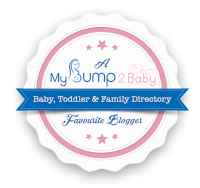 Freddie never spotted them and it took James a few minutes to work out where they were! 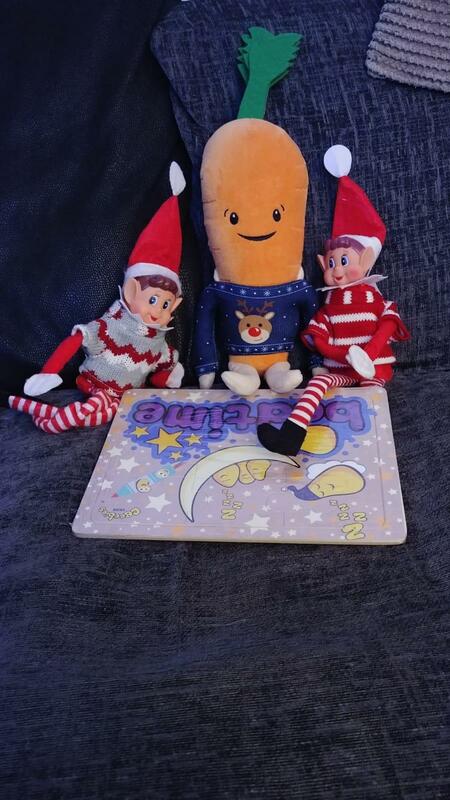 On Day Four James and Freddie came downstairs to find that Rhul and Elfis were sat on our sofa with Kevin the Carrot doing a puzzle! 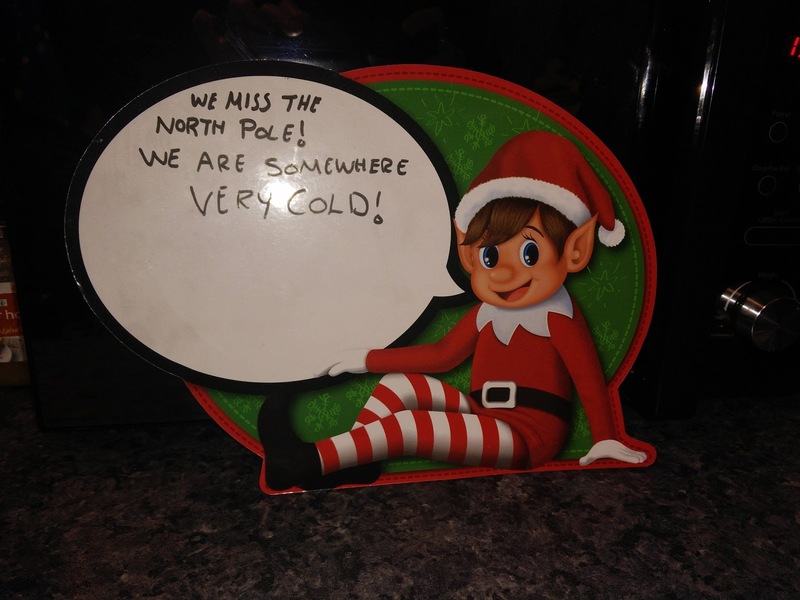 On Day Five the boys found a message on the elves white board in the kitchen saying that they were somewhere very cold! 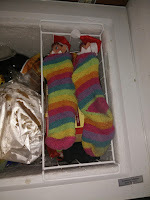 James throught straight away that they were hiding in our fridge as Rhul had hidden there last year! 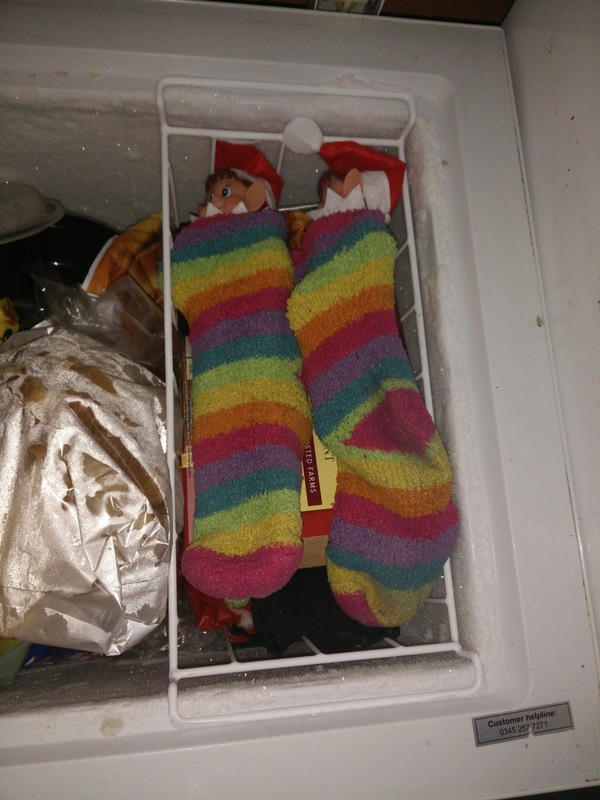 However once he looked they were not there, then he realised they could be in the freezer and there they were tucked up in a pair of mummys socks! I will do another update on the elves and their antics on 11th December!